The listing of PA counties are listed in alphabetical order and include the county seat of each one. One of the Pennsylvania county maps listed below lets you visualize the location of each county. 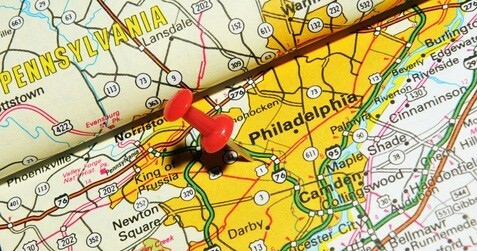 The map of Pennsylvania state gives you a general overview of where some cities and towns are located throughout the state. There are two different regions of PA - one breaks the PA counties down into 8 areas while the other divides them up into 6 areas.